Jim Czak, 71, a member of Local 802 since 1962, died on March 15. 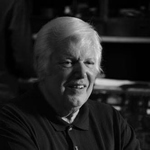 Mr. Czak was the former owner of the famed Nola Recording Studios in the penthouse atop the old Steinway Piano building. He is survived by his wife Judy, son Steven, daughter-in-law Ashley, grandchildren Juliana and Beckham, and sister Kathy. Allegro received many tributes to Mr. Czak with special stories about his talents and accomplishments. See the Musicians’ Voice for much more. Laura Flax, 64, one of New York’s most distinguished and versatile clarinetists, died after a hard-fought battle with cancer on March 12. She had been a member of Local 802 since 1975. 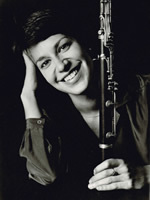 A trailblazer for women clarinetists in a field dominated by men, Ms. Flax became the first female clarinetist of the New York City Opera in 1984; five years later she was named principal clarinetist, a position she held for 28 years; and she was the first female chairperson of the orchestra’s musicians committee. She held principal positions with the American Symphony and Bard Music Festival orchestras, and was a frequent guest with the Metropolitan Opera Orchestra, New York Philharmonic, Orpheus Chamber Orchestra and the Orchestra of St. Luke’s. She also performed as a soloist with the Jerusalem Symphony, Bard Music Festival Orchestra, American Symphony Orchestra and the Puerto Rico Symphony. Ms. Flax spent 20 years as a member of the Da Capo Chamber Players and premiered over 100 works, including works by Joan Tower, Shulamit Ran, Philip Glass and Elliott Carter. A devoted teacher, she joined the Juilliard Pre-College faculty in 1989 and taught for many years at the Bard College Conservatory of Music. She is survived by her twin daughters, Molly and Fanny Wyrick-Flax; her sisters, Freda and Alice; and beloved cats, Charley and Shaka. Donations in her honor can be made payable to Juilliard for the Laura Flax Memorial Scholarship in Clarinet in the Pre-College Division and sent to the school, or made at juilliard.edu/giving, or by calling (212) 799-5000, ext. 692. Also, in this issue, see Roger Rosenberg’s letter on with a reminiscence of Laura Flax. Joanne (Amici) Richmond, 83, a pianist and a member of Local 802 since 1954, died on March 4, in Princeton, New Jersey. Born in Vermont, she was raised in Bayonne, New Jersey, where she was a child prodigy. She made her debut at Steinway Concert Hall before the age of 10 and later performed at Carnegie Hall and Lincoln Center. 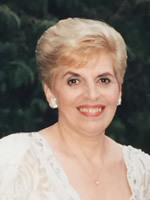 Ms. Amici-Richmond honed her skills to the highest level and was admitted to Juilliard, where she earned a bachelor’s degree and ultimately a master’s in piano in 1957. Shortly after graduating, she worked summers at the Green Mansions Resort and also toured nationally with a classical music/singing group. Ms. Amici-Richmond was employed by Columbia Records as well. Throughout her short career, she worked with many world-famous artists. She met her late husband, professional French horn player Albert Richmond, while they were performing in the Radio City Music Hall Orchestra. She stopped working after her marriage to raise her family in Teaneck, New Jersey, but occasionally performed with a small, local music group and taught piano lessons.